CAMDEN, N.J. (Jan. 29, 2016) – When Connor Hurff (Sewell, NJ/St. Augustine Prep) completed his senior season at Rutgers University-Camden last fall, the talented midfielder was determined to take the next step in his soccer career. Hurff will get that chance beginning Monday, when he opens pre-season camp with the first-year Bethlehem Steel FC, the United Soccer League (USL) affiliate owned by the Philadelphia Union. The Union are the ninth Major League Soccer team to independently own and operate a team in the USL. Hurff earned his pre-season invitation after performing well at the Philadelphia Union’s Pro Combine in late December. If he makes the Bethlehem roster and signs a professional contract, he could make his first pro appearance in the team’s season opener March 25 at FC Montreal. Hurff anxiously awaits the opportunity to compete against other talented players for a berth on the roster, and feels his experiences at Rutgers-Camden in the rugged New Jersey Athletic Conference and with the Scarlet Raptors’ high-powered national-level schedule will help his chances. Hurff has had a wealth of soccer experiences throughout his life, including his stellar four-year scholastic career at St. Augustine Prep, where he earned NSCAA Regional All-America, First Team All-State and a pair of South Jersey Player of the Year awards (from thePhiladelphia Inquirer andCourier-Post newspapers), among numerous other honors. He helped St. Augustine Prep capture the Non-Public A state title, and also played on a pair of state championship squads with his Pittsgrove Premier 92 club team. Hurff spent two years on an athletic scholarship at Rutgers-New Brunswick, including a medical red-shirt season in 2011 where he missed the entire campaign while recovering from knee surgery. He was named to the Big East All-Academic Team in both 2011 and 2012, and finally returned to the soccer pitch and appeared in three games in 2012. He transferred to Rutgers-Camden for his final three seasons of collegiate eligibility and immediately became an integral player on the finest team in program history. The 2013 Scarlet Raptors went 23-1-2, won their third straight NJAC title and advanced all the way to the NCAA championship game before losing in double-overtime to Messiah College. Hurff started all 26 games for that team, tying a program record, and finished third in scoring with eight goals and five assists for 21 points. 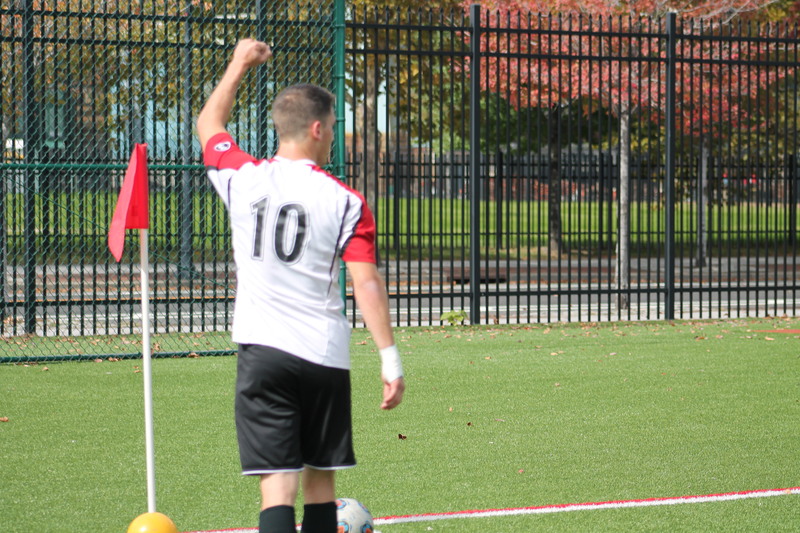 He also earned a berth on Rutgers-Camden’s Cialella Soccer Classic All-Tournament Team. “”Playing at Rutgers-Camden was an amazing experience as a student-athlete,” he said. “It was a program where I was able to come into pre-season every year knowing I was preparing for NJAC title and National Championship runs. It was an adrenaline rush from August to December, a rush that every truly committed player is searching to find. 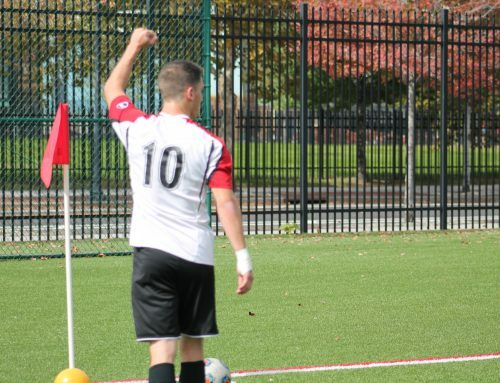 During the last two seasons of Hurff’s Rutgers-Camden career, he served as one of the Scarlet Raptors’ team captains. As a junior in 2014, he helped the Raptors advance to another NJAC title game, capture the ECAC Metro/Upstate title and finish with a 16-8-1 record. He earned Second Team All-NJAC honors, was the NJAC Offensive Player of the Week on Nov. 3, and finished second on the team in scoring with five goals and eight assists for 18 points. That set the stage for a banner 2015 senior season in which Hurff helped the Scarlet Raptors win their fourth NJAC title in five years, stunning nationally-ranked Montclair State on penalty kicks in the title game. The Raptors advanced to the second round of the NCAA tournament before losing to eventual Final Four team SUNY-Oneonta. They finished with a 14-8-2 record and Hurff captured First Team All-NJAC and First Team ECAC Metro honors, while adding NSCAA All-South Atlantic Region Second Team recognition. He finished second on the team in scoring with eight goals and 11 assists for 27 points, aided by a monster game in the season opener when he collected four assists (tying the single-game program record) and two goals for eight points against Rosemont College, Sept.1. He finished the season as the Raptors’ leader with 11 assists and tied for the club lead with four game-winning goals. After experiencing an overall three-year record of 53-17-5 at Rutgers-Camden, including two berths in the NCAA tournament (one in the final game), three NJAC title-game appearances and two championships, and an ECAC Metro/Upstate crown, it isn’t surprising that Hurff holds many fond memories from his Scarlet Raptor career. “First, the pregame warmups,” he mentioned, ticking off his favorite Raptor moments. “Teams come onto the field to warm up screaming and yelling and motivating one another to try their hardest and run around with energy. At Rutgers-Camden we know we will get that. What made our warmups unique was the mood where we would be laser focused, while at the same time laughing and cracking jokes with each other. This set the tone that you see in our style, which is extreme focus, mixed with calm smart soccer on the defensive and offensive side of the ball. In only three years at Rutgers-Camden, Hurff started all 73 of his games and finished tied for fourth on the program’s career assist list with 24. He also scored 21 goals and finished eighth on the career list for points (66). All the while, Rutgers-Camden helped Hurff continue his development as a player. Now Hurff is hoping to show those talents at the professional level, beginning at the first pre-season camp in the history of the Bethlehem Steel FC. Diamond Soccer offers high-quality youth soccer training at reasonable prices. We teach players to apply fine technical movements at the right moments through fun, competitive, and tactical games. We are a generation of coaches influenced by La Liga (Barcelona, Atletico de Madrid, and Real Madrid) with a common goal of creating the total soccer player. Our desire is for players of all ages and sizes to enjoy and succeed in the game. We offer team training, individual training, and group training academies throughout the spring, summer, fall, and winter. Sign up for an upcoming session online or contact us today to learn more!